Sto Corp. helps provide the former Ocean Village with a new beginning - Sto Corp.
Sto Corp. was chosen to help revive the former Ocean Village, now Averne View, with StoTherm Lotusan NExT®, a system that provides both energy efficiency and curb appeal. Courtesy of Sto Corp. Ocean Village was a series of 11 dilapidated buildings, which sat on the Rockaway Peninsula of New York with a beautiful view of the Atlantic Ocean. 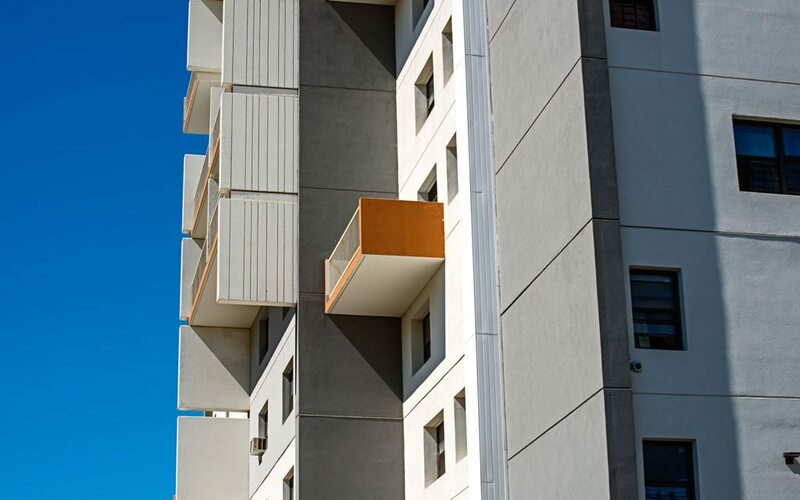 Now, after years of decline, the concrete clad 1,000+ unit apartment development has become a new showcase for the area, thanks to a $60+ million repair and a team effort put together by L+M Development, which included Sto Corp. and its energy-efficient, eye-catching cladding, StoTherm Lotusan NExT®. As far back as 1970, the low-income housing complex was becoming an eyesore, and then was subsequently damaged by the destructive effects of Hurricane Sandy. Occupancy rates were dismal. Not only did it look damaged, but the buildings were rotting away.